September 25, 2018 – Newburyport, Massachusetts - UFP Technologies, a producer of innovative, custom-engineered packaging and components for medical devices, orthopedic implants, fixation devices, and surgical instruments will be exhibiting at MDTX from October 2-3 at booth #325. At this year’s show UFP Technologies will be teaming up with the recently acquired Dielectrics, a leader in the design, development, and manufacture of medical devices using thermoplastic materials. Our combined capabilities now provide improved patient outcomes by minimizing the chance for infection, improving patient comfort, and promoting faster healing. 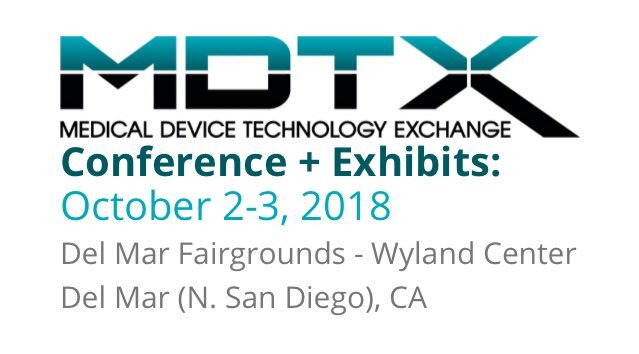 MDTX is one of the leading conferences for medical device execs who design, develop, manufacture, or commercialize devices and features the latest in cutting-edge technologies the industry has to offer.